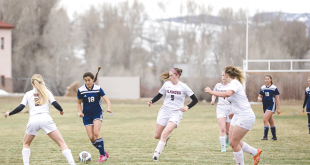 The entire season has been filled with challenges for the Crested Butte Titans soccer team. The schedule has been a mix of struggling programs and stout opponents, leaving the Titans to determine their fate on their own terms. This past week was predicted to be the latter as the Titans had two tough games over three days against the Ridgway Demons and the Basalt Longhorns. The Titans tied Ridgway earlier in the season 1-1 as the Demons proved as tough as always. 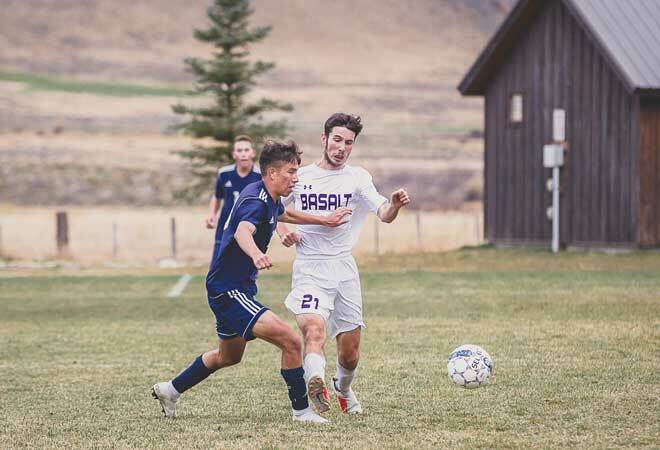 Basalt was a bit of a mystery as they are one of three non-league opponents the Titans put on their schedule each season in an effort to face perennial strong programs from bigger schools. Ultimately, the Titans emerged from the week with two wins as they took down Ridgway 3-0 and Basalt 4-1. 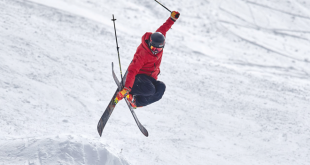 Senior captain Tommy Linehan and the team have been on a long climb all season, harking back to their past years of climbing peaks as a team and using that as the analogy for the year. He likens the past week to another section of a long peak ascent. Ridgway came into the game on Tuesday, October 2 on a roll, having racked up several wins over the past two weeks and looking to continue their energy against the Titans. But Crested Butte jumped out to a 1-0 lead in the first half as a shot from Josias Navarrete glanced off of the back of Dagan Schwartz and past the Demon net minder. The game remained tight into halftime but the Titans struck five minutes into the second half as Linehan slipped a pass across the six-yard box to Kye Matlock and Matlock stuffed it home. The Demons soon started dictating possession on the Titans, looking to unlock their defense, but Zane Reda, Finn Smith, Tate Young and Owen Berv had everything sewn up tight, leaving little chance for the Demon offense. The Titans tacked on an all-important third goal with 20 minutes left when Linehan headed home a corner from Carlos Franco, and they continued to press to keep Ridgway on their heels and finished off the 3-0 win. The Titans returned to Rainbow field on Thursday, October 4 to play Basalt, expecting another tough showdown. The Longhorns play in a tough league from the Roaring Fork Valley and had knocked off 3A powerhouse Coal Ridge earlier in the season. “We expected that they were going to play fast with a lot of intensity and a lot of chemistry,” says Linehan. Both teams struggled to take control of the game as passes missed their marks and the pace was lackluster. The difference came from the Titan strikers though, as they managed to create havoc on attack. Jovany Aguirre slipped through the Basalt defense and was taken down in the 18-yard box to set up a penalty kick. Linehan stepped to the mark to fire his shot past the Basalt keeper and the Titans were up 1-0. The effort of Gaby Marmolejo then led to two more Titan goals as he followed on a shot fumbled by the Basalt keeper to poke it home and then broke free down the middle to score for a 3-0 Titans lead at the half. Goalie Slater Weil came up big in the second half, stopping a Basalt penalty kick and the Titans tacked on a fourth goal as a pass from Marmolejo found Linehan open inside the 18 and Linehan pushed it through traffic. Basalt finally broke through for one goal but the Titans were well in control and closed out the 4-1 win. The Titans have now entered the October break and return to workouts on Monday, October 15 when they must recharge, as they face Telluride on Saturday, October 20 to close out the regular season. “I think if the team stays focused and returns with our eyes on the Telluride game, we will come back with momentum and refueled from the break,” says Linehan. Following the Telluride game, the Titans will head into the state tournament starting on Wednesday, October 24.